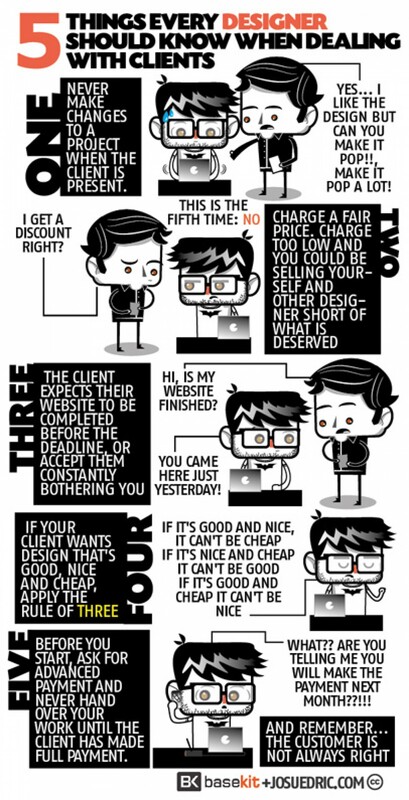 Now this is funny and so true side of dealing with clients as a web designer. Never make changes to a project when client is present. Charge a fair price. Charge to low and you could be selling yourself and other designers short of what is deserved. The client expects their website to be completed before the deadline, or accept them constantly bothering you. If your client wants design that’s good, nice and cheap, apply the rule of three. Before you start, ask for advanced payment and never hand over your work until the client has made full payment. The post 5 THINGS DESIGNERS SHOULD KNOW appeared first on EveryThingCyber.